There are a lot of things we “know” but don’t know.Sometimes,thoughts have to be framed just the right way to start making perfect sense and for us to experience that ‘Aha’ moment.A thought-provoking article from Brain Pickings helped crystallize a lot of my loosely framed thoughts. When we become willing slaves to the money-making machinery and devote every moment of our lives to the blinkered pursuit of money, every voice that detracts us sounds irritating.As we run our race, all we can think of is reaching the finish line. At times we are at a loss to remember why we started running in the first place or why we were still running and what would we do when we reached the finish line, if there was one. We shudder to lose that one goal that threatens to leave us rudderless in the world, without a sense of purpose. “Wealth” as Watts defines,is anything which enables us to live a fuller life.Going strictly by that definition, the meaning of wealth could vary vastly for different individuals.However, it would be reasonable to assume that some things might more or less be broad enough to be considered as contributors to a fuller life ; for instance spending quality time with loved ones, bringing up a child to be responsible and a confident adult, savoring good food etc. Wealth could imply enriching one’s own personality in terms of creating works of art, beauty, literature etc and could also be inferred as enriching one’s life by supporting other lives.”Some” wealth could be enabled by money. When we disassociate ourselves from a money-based evaluation system and wait for the haze to settle down, we find new roles which hitherto didn’t figure anywhere in the leaderboard. Many homemakers who have had to struggle with a sense of purposelessness or have had to ward off uncomfortable questions, suddenly find themselves well-placed in a wealth-based system. It all starts making perfect sense, when you view that each homemaker is creating wealth for the family by supporting other members in differing capacities and roles. Many people in their pursuits of art, literature, theater, academic research etc are creating wealth, though they sometimes might not be making too much money. The importance of viewing money as just an enabler and not an end-goal marks an important step,in how we perceive others and evaluate our own self-worth. Whether it’s creation of wealth or money, we are inclined to look at both as fulfilling a sense of purpose – the reason we were born and what we were meant to do. Some of us keep looking for that elusive purpose all our lives. Some of us get dispirited when it doesn’t turn up in an all-encompassing magnificent vision and tragically spiral downwards in an existential crisis. Considering the bigger scheme of things, we are an infinitesimally minute part of the cosmos. Nothing we do today, is going to live after a 1000 years or 10000 years.For all we know, humans might have long vanished off the face of the earth. What is the purpose of life of an ant or a bee ? It lives and it dies. Was it’s living and dying purposeless. And would we as humans, be able to live with that sense of purposelessness or the apparent randomness of the whole thing. Wouldn’t life come to a grinding halt ? So we indulge ourselves by our prescribed sense of purpose, that which will enable us to live a fuller life. Now let’s change that logic to see things in a radically opposite manner.What if, right from the day we were born, to the day we die, we have fulfilled all our purposes. All that was ever destined for us. No life was,is or will , ever be purposeless. No bee or ant died a purposeless life.Every life is meaningful and is being lived the way it was always meant to be. So when one’s life is over, one should always be able to look back at it,as having done exactly what one was supposed to do, fulfilled everything that one had been born for. Does that mean that we don’t look for and try to pursue things that makes us happy or increase our self-worth or our wealth. Of course not, because that too is a part of living but that doesn’t change the intrinsic value or the bigger purpose of our life. While gender stereotyping is a very prevalent topic these days, there is another which is equally pervasive and might be harder to classify as black or white.Stereotyping of the elderly and the overarching expectation to conform or to risk being judged.A short while ago I happened to chance on this article on Facebook. And it brought to the fore a lot of thoughts I had on the subject of stereotyping of elders in the society. Young grandchildren invariably imply a duty for the grandparents,if the parents happen to be working professionals. While it is perfectly understandable and a great arrangement,if both parties are amenable to it. It is most certainly not,if the grandparents would rather have a choice and freedom on the subject. Implicitly assuming that one’s parents should drop everything on their plate and come to look after the grandchildren smacks of inconsideration. Whether they really have a lot on their plate or not, is also of little consequence. The problem revolves around choice. Do grandparents really have a choice to say ‘No’. If they do, do they risk of being judged by everybody around including their own children. The comments to the article above also interestingly implies,that to be looked after in old age, looking after the grandchildren is the price one must pay. “And I shall have my pound of flesh..” said Shylock. If relationships are indeed so transactional , then where is the pound of flesh for bringing up the children themselves. As people get older, our society starts putting the emphasis on religion and ritualistic traditions.The unsaid expectation of withdrawal from worldly affairs looms larger with progressing age and any inclination of wanting to enjoy material interests is only looked down upon. While declining importance of materialistic interests and progress along the spiritual path is the aspiration of many spiritual seekers, its correlation to age, puts an undue strain on an individual and snatches away the choice of how one wants to live. Spirituality as a way of life can only be by choice. Though I did take a recourse to talking about religion and spirituality in the same breath, vast differences in the way they are practiced is a topic for another day. women remarrying is gaining more acceptance, the taboo still remains strong against somebody considered past the hill.Films like ‘Cheeni kum’ explored this topic to a certain extent,challenging accepted societal norms. Compassion – Where art thou ? Everyday reports in the newspaper of barbaric killings by ISIS, Boko Haram and other terror organizations have jarred our sensibilities by the sheer intensity of their violence.And every time, I am plagued by the apparent ease with which a human being is able to transgress into such perversions. Are political,religious or economic inducements sufficient to bring out this horrendous aspect in a man? More often than not, I could only view them as maniacal and in the process, classify them as sub-human. Until I realized that this was perhaps the same emotion which controlled them too. History has been replete with instances where human beings have descended to such barbaric acts that humanity can only shiver in its grave. It is the process wherein a human dehumanizes the other so completely that no conceivable relation to the other can then be established.This formed the basis for nearly all the genocides in the world. An ability to establish oneness and connection with another, forms the basis of compassion. Compassion – the singular emotion which is direly needed in today’s world.Different religions espouse this central thought in their philosophies. Keeping aside the inherent mis-interpretations that each religion has given rise to, compassion is a salve for humanism – where being ‘human’ is far more critical than being religious.Compassion encompasses empathy along with action.It differs from altruism where emotional attachment is not mandated and neither is it comparable to empathy, where despite the emotional involvement, it needn’t translate into action.Nonetheless, rather than splitting hair on these variations, any proclivity towards altruism or empathy is only to be appreciated and viewed as a stepping stone to attaining true compassion. The ability to be compassionate can be intrinsic to an individual,but interestingly, it can also be consciously developed.In this age of bloodshed, the ability to be compassionate to oneself and to others is the one gift we can give ourselves and our children. Haile Selassie says “It is much easier to show compassion to animals. They are never wicked.” Everybody’s latitude for compassion would vary and so would it also be undeniably linked, to the object of compassion.But even that residual innate quality would succumb to the everyday onslaught of inconsideration that we show, not because we deliberately intend to but because many a times,we even forget to spare a thought to the existence of an alternate way. So prior to become ‘compassionate’, lies the state of being ‘considerate’. Its akin to learning A ahead of Z. Are we considerate with ourselves ? – When we constantly disparage ourselves on our looks, our achievements and our capabilities. When we are overly harsh with ourselves for not living up to our standards, when we take our achievements for granted and our failures as our scars. Are we considerate at home ? With our family ? – While demanding and taking our family for granted. When we place undue burden on our children as we try to mold them in our cast. When we fail to appreciate a spouse as a person who could have independent needs and desires. Are we considerate at work ? With our colleagues ? – When our demands are unfair. When we absolve ourselves for our failures and steal someone’s limelight.When our subordinates become ‘resources’ in the true sense of the word. Are we considerate towards the place where we live ? – When we unabashedly litter our surroundings because it’s not ‘my’ headache.When we play loud music in the dead of night. Are we considerate on the road ? – When we constantly get overcome with road rage.When we don’t abide by any traffic rules.When we forget that the five minutes we save on traffic is not a life-changing deal. Are we considerate towards people ? – When we encounter people with differing views, different religious practices, different sexual orientations. When we sit on judgement on every differing view. It is said that to practice tolerance one needs to put oneself in another person’s shoes.It’s facile to ridicule another based on their beliefs and value systems, but it’s much harder to introspect and understand the context. This is not to condone unlawful or antisocial behavior, but simply to acknowledge those, that are different to ours. Social transformations are not ushered by people who are judgmental, instead it is by people who are compassionate and yet,steadfast about their causes. In being who we are, we determine our future generation.The answer to the question of whether humanity will survive the onslaught of intolerance and hatred, lies with us.We can choose how we wish to answer it. 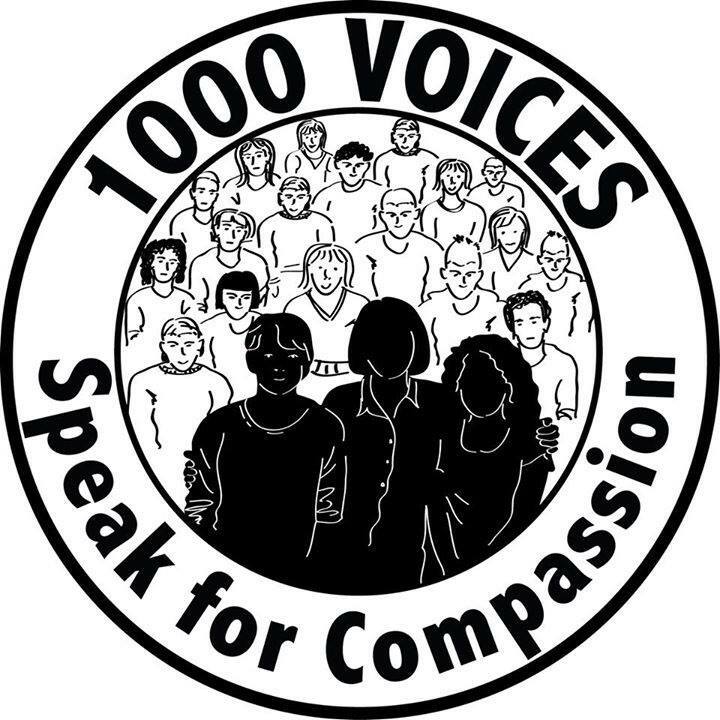 This post is written for ‘1000 Voices of Compassion’ where 1000 bloggers from across the world decided to lend their voices for Peace and Compassion on Feb 20th. Life is not predictable and neither is death. We encounter innumerable reports of freak accidents occurring everyday in the newspaper.But more often than not,we don’t foresee a similar situation befalling us. A lot of folks plan their life to the minutest detail, but strangely enough, only a handful plan for death.No, its not a morbid statement and neither is it anything to do with mental conditioning,which while definitely, is a wonderful goal to achieve, is not the object of this post. Imagine yourself dying today. 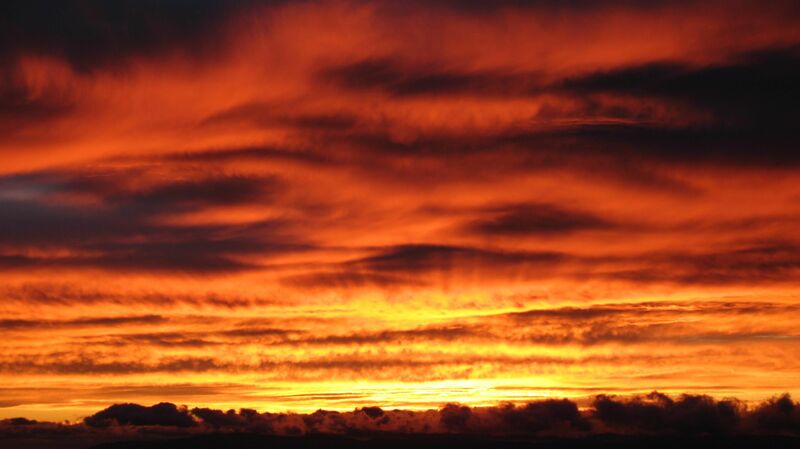 This minute. Who is aware about your financial assets & liabilities ? Who will be the beneficiary to your assets ? Is the person(s) who you assume to be the beneficiary, also the beneficiary under law ? If you have kids and if you and your spouse were to die today, who will be the guardian to your children ? Who will ensure that the money goes to who it is meant for ? Imagine the hassles for your family of you dying intestate. A sudden fatality occurring in the family can leave everyone emotionally devastated.While dealing with the emotional turbulence is everyone’s personal struggle, the practical aspects can be sorted out to a great extent with proper planning. Having been exposed to circumstances which led me to appreciate this much more, I wanted to highlight some of the key things to do. Nominations – This is the most basic and something many people forget to do.Many a times, an account is created after which a person undergoes a status change in his/her marital relationship.In such a scenario, the possibility of missing out naming a nominee or having a wrong nominee on the records, increases several fold. The accounts on which one can specify nominations include savings accounts, fixed deposits, mutual funds, demat accounts and insurance policies.Certain demat accounts might facilitate single authorization of a Nominee for all fund holdings but may still require a fresh nomination for new funds. Who is a Nominee and what are his/her rights ? – In very simple terms, a nominee is just a representative to whom the FI/Bank can give the money to, after your death.This eliminates the hassle of producing a legal heir certificate or a succession certificate. An important point to note is that a nominee is a NOT a substitute for a legal heir. In most cases nominees are people whom you also deem to be one of the beneficiaries. The distribution of a person’s assets are governed by the Succession Act and it is critical to understand the several categories of Legal Heirs.Class 1 heirs are the ones who are first in the hierarchy and authorized to receive your monies after your death on an equal distribution basis. According to Hindu Succession Act, the legal heirs are different for males and females.Class I heirs for a Hindu male are sons, daughters, widows, mothers, sons of a pre-deceased son, widows of a pre-deceased son, son of a pre-deceased sons of a predeceased son, and widows of a pre-deceased son of a predeceased son.Class I heirs for a Hindu female are sons and daughters (including the children of any pre-deceased son or daughter) and the husband. So how does the nomination and the Legal heir system work together ? – In a nomination, as previously stated, all one is doing is naming the person, who will collect the assets on your behalf.BUT, this does not give the person absolute rights over the assets.This means,that the money once collected by the nominee is to be distributed as per the legal heir beneficiaries.In the absence of a nominee, the bank will ask for a legal heir certificate or a succession certificate. Why does one require a Will ? – A Will is a legal declaration of the intention of the person to distribute his assets.So lets assume that you intend your sole beneficiary to be your spouse and the sole beneficiary is the spouse according to law as well, then one could safely conclude that the Will would become a nice-to-have document which can do away with the hassle of creating a Legal Heir or a Succession certificate. 3. If you have a clear mapping of your several assets to your beneficiaries – Say property in Mumbai to go to your spouse, property in Bengaluru to your mom, then this would not be possible without a Will. A Will is a highly desirable document for distribution of properties as properties don’t have nominations.If your family needs to sell a property after your death, they would not be able to do so without a Will or legal heir/succession certificate. And for each of such sales, all the legal heirs need to be present for executing such transactions. Imagine a case, where a legal heir is living abroad and the hassle involved therein.Power of Attorney needs to be created in such cases if the remaining heirs agree to let go of the property in favor of one. 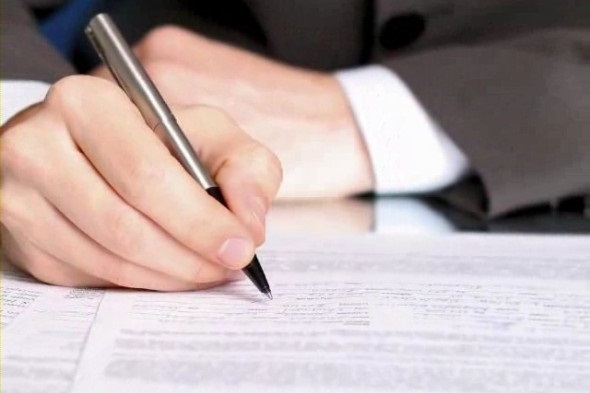 Now lets also look at other aspects of a Will, which are not fully financial in nature. A Will can also act as a statement of intent. This, of course is left to the goodwill of your family members to act on it. This is typically true for guardianship.If you are a single parent or you want to make a joint Will, to be executed in the event of the death of both you and your spouse, then you can specifically state the guardian you want to nominate for your children. This takes care of unnecessary disputes among family members later.Imagine the peace of mind you would have in knowing, that if something were to happen to you and your spouse today , your child would still be taken care of, in the way you want. In the case of a Joint Will, it also aids a person who might not be an immediate family member, to have a record of all your assets and liabilities.It also enables you to bequeath certain specific possessions to certain people.You wanting to leave your precious stamp collection to a relative or a friend who’s equally passionate about it, is possible only through a Will. For all this peace of mind, all you require is a piece of paper and some concentrated thinking. Yes, a Will can be written in a plain piece of paper in your handwriting. It should just cover that you are in a sound state of mind and should take into account all your assets and express your intent clearly.If you foresee disputes arising later, a Will can also be registered. Parenting technically speaking, is said to be the process of promoting and supporting the physical, emotional, social, and intellectual development of a child from infancy to adulthood. But when I pondered on the tremendous amount of things I have learned from my child, I agreed in toto with William Wordsmith “Child is the father of the Man” both literally and metaphorically. Life is a great teacher but you have to do our part and show up for class each day ! Every experience good or bad, molds us in ways that we sometimes consciously comprehend and at times, fail to register.As years passed and life threw new experiences at me, I too kept learning.But it was the day I became a parent, that I truly learned to ‘look’ at myself – warts and all. A tiny child grows physically and mentally through a natural progression, the way destiny intended it to be. The child acquires skills at a rate that can shame an adult. We can kid ourselves and feel completely responsible for the child’s development or we can acknowledge that we were mere conduits in the pre-destined journeys of our children.And in those fleeting moments of humility, we might perhaps sense the bigger purpose of things. In a world, where wonder is considered akin to naivety, weathered with day to day travails, all that was left in the bottom of my cup were the dregs of cynicism.As I watched my son viewing a bug through a magnifying glass, mixing together his paints to discover new colors, saw the exhilaration in his eyes as he created a volcano with soda and vinegar, I found my lost feeling of wonder. To truly feel wondrous is to be in the moment fully.Being in the ‘now’, without a care for the past and future is something I saw in my son.Not for him, worrying about the homework waiting to be done and neither did any past success or failure leave much of an indelible mark. If the punishment or reward was not for that very instant, then it didn’t need to be bothered with, because the next moment would take care of itself. However much that exasperated me and contradicted all that I was trying to teach him about delaying gratification and learning from past mistakes, I had to acknowledge the carefree happiness that I saw in a soul unencumbered by the past or the future. In my child’s world, I found bonds that were not formed on a worldly wise view of give and take.It did not matter whether his friend invited him to his party or not, he could still ask himself to be invited. As I struggled with my adult responses to these situations, I realized that the ego-less state that I was trying to remedy was exactly what I myself was aspiring for. As I strove to teach and bring up my child, I forgot that under the harsh glare of my child’s eyes, all my shortcomings were clearly visible. I could preach all I wanted and still disconsolately fall short, did I not practice it myself.I realized if I had to stop my son from doing something , there was no way I could ever hope to continue the practice myself.Where my parents had failed, my son succeeded.This is one role where one can simply not be an armchair consultant. I didn’t realize the extent of my hypocrisy till I was faced with my son’s questions.While I harped on social equality, was I okay to let my son fraternize with the street urchins ? There are ideals we mouth and ideals we actually stand for. Faced with uncomfortable questions, reason wilts and all that is left in the arsenal is the often impotent ‘Because I said so’ argument. My son brought me face to face with my own prejudices. A child pushes your buttons like no one else does. I have alternated wildly between being an angel and a monster and been taken aback by my own anger. As I observed my reactions, I was both shamed at my inability to control my anger and amazed at my capacity for patience. It is in times like these, when I stood by and observed myself that I could really see who I was.My child showed me a mirror that sparkled with his innocence.It was now left for me to decide who I wanted to be. My son bombards me with questions 24 X 7. Why does hot air rise ? Are humans still evolving ? Why should he not take the easiest route ? At times, I have to dig out the information from the dimly lit recesses of my mind and at times, I have to search. I google facts, learn new languages, examine concepts I had learned in an era gone by and wonder at questions that I myself never asked. There is nothing that can hone your creativity more than trying to teach concepts to a dis-tractable child. How to convert ‘studies’ from a matter of duty to that of interest is a subject that forever fires my imagination.Every night, I tell stories to my child. Many a times, I read them from a book, but the ones he likes best are the ones I invent. The escapades of a boy with an alien friend, conjured up to catch the attention of a technology-savvy, science fiction loving kid and yet, to be grounded in day to day values. 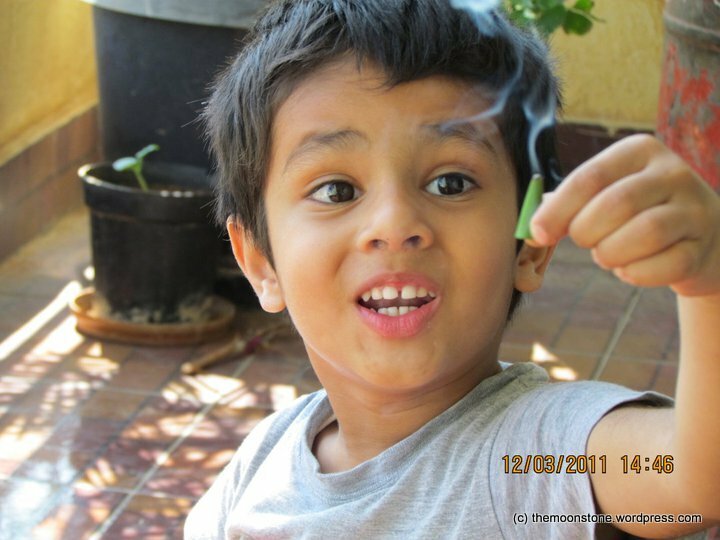 My son with his uniquely simplistic questions of ‘are you happy or sad’ showed me that life need not always be a multitude of greys. Underneath all the hues,only the basic colors matter.Amidst all the complicated jargon, there are only life’s basic questions and underneath the subterfuge, there are only primal emotions.Life is only as simple or complicated as we choose to make it. As I saw my son writing a secret letter in invisible ink to his best friend, a memory from yesteryear impinged on my senses – a similar scene – a similar thrill as I wrote a letter in secret code to my friend long long ago.My son brought back the joy of my childhood to me. I am unsure about who’s bringing up whom.As I travel this journey of parenthood, the revelations and the knowledge that it brings forth puts the onus on me.More than learning to be a better parent, I can choose to be a better person and while I do that, I might perhaps end up being a better parent.